Acoustic Atlas - Collect the sounds of the animals and natural environments of Montana and the American West, documenting the natural soundscapes that are increasingly impeded by human activity and development. American Sound Archives - Unissued recordings produced by the Edison Company between the years of 1914-1929. The repertoire includes vaudeville sketches, popular vocal songs of the era, opera/classical, jazz, dance bands of the 1920's, speeches by popular orators and political figures, and the voice of Edison. Replay Media Catcher lets you capture streaming Flash video (FLV format) and MP3 audio from previously unrecordable streams. Replay Media Splitter allows you to extract or remove portions of audio and video files. Once it's installed, you'll be slicing and dicing media files in minutes. Replay Music is a specialized music recorder that extracts MP3 song files as you listen to digital music subscription services and online radio stations. The Automatic Tagging feature labels songs for you. Audio: Creative Commons - Featured creators, tools, and works. Audio Engineering Society (AES) - The only professional society devoted exclusively to audio technology. Audio-Technica - Designs and manufactures a wide range of products, including high-performance microphones, headphones, noise-cancelling headphones, wireless microphone systems, mixers and electronic products for home and professional use worldwide. AudioEnz - Hi-fi magazine in New Zealand. Audioholics - A/V magazine: Home theater, HDTV, receivers, speakers, Blu-ray reviews and news. British Library Sound Archive - One of the largest sound archives in the world with over a million discs, 185,000 tapes, and many other sound and video recordings. The collections come from all over the world and cover the entire range of recorded sound from music, drama and literature, to oral history and wildlife sounds. Buying Loudspeakers - Guide and reference information to buying loudspeakers. Clarity Alliance - Clarity's mission is to raise the profile of the specialist hi-fi and home cinema industry with consumers; to share the benefits of quality home entertainment and the life enhancing effect a good system can have. See Membership Directory. Computer Audiophile - Launched 20 Nov 2007 by Chris Connaker. The site brings together Chris' extensive background in information technology and his passion for music. CratePlayer - Create and explore collections of music and videos from YouTube, SoundCloud, Vimeo and more. Digital Stream Direct (DSD) - The trademark name used by Sony and Philips for their system of recreating audible signals, which uses pulse-density modulation encoding-a technology to store audio signals on digital storage media that are used for the Super Audio CD (SACD). Dogpile - Multimedia, images, MP3 searches. Engineer's Notebook - Notes and diagrams for solving radio-related problems or for unique situations. Freedom Archives, The - 8000 hours of audio and video recordings documenting social justice movements locally, nationally, and internationally from the 1960s to the present. The Archives features speeches of movement leaders and community activists, protests and demonstrations, cultural currents of rebellion and resistance. This oral history is in a searchable database. You can download programs and clips. Handbook for Acoustic Ecology, ed. by Barry Truax - Provides a thematic search engine, based on the themes of Vibration, Magnitude, Sound-Medium Interface, Sound-Environment Propagation, Sound-Sound Interaction, and certain other specialized areas of terminology. Additionally, sound examples are drawn from the tape library of the World Soundscape Project, and its catalogues of soundscapes from Vancouver, across Canada, and Europe, as recorded by Bruce Davis, Peter Huse and Robert MacNevin. iTunes - iTunes is a store, a player, and a way to get music and more onto your iPod, iPhone, and Apple TV. Download here. Jake Ludington's MediaBlab - Latest tips for maximizing productivity, simplifying digital video and audio frustrations, and solving computer problems. LAST Factory - Record cleaner, record preservative, CD/DVD cleaner and treatment, media care and more. Learning Soundbooth - AdobeTV tutorials for Soundbooth CS4 and Soundbooth CS5. LibriVox - Volunteers record chapters of books in the public domain and release the audio files back onto the net. The goal is to make all public domain books available as free audio books. Lisbon Sound Map - A work in progress over five years, but with a public presentation of the first sound collections after six months. Taken from fixed stations, the monitoring and recording of sonic territories is done in studies, particularly those with classic sound marks and considered historical places (the Pombaline lower part of the city), those with changes in their acoustic space through erosion and urban renewal of the previous urban space (some historic districts), and finally, those who are in the process of radical change, either by the construction of buildings or through channels of communication (within the city limits or in areas where the Municipal Head of Planning allows construction). London Sound Survey - Featuring sound maps, London maps, sound recordings, history of London sounds, wildlife, vintage radio actuality, blog and more. Mainspring Press - Award-winning research on historic recordings. Mobile Fidelity Sound Lab (MoFi) - Audio entertainment software. Stands out as one of few record labels that independently invests in research and development of audio technology. A pioneer and leader in audiophile recordings since the company's inception in 1977. MP3 - From openers to headliners, download your next favorite track on MP3.com, featuring over 1 million tracks, artist profiles, photos, videos, and new music daily. Museum of Endangered Sounds - Brendan Chilcutt preserves the sounds made famous by his favorite technologies and electronics equipment. Naropa Poetics Audio Archives - The Naropa University Archive Project is preserving and providing access to over 5000 hours of recordings made at Naropa University in Boulder, Colorado. The library was developed under the auspices of the Jack Kerouac School of Disembodied Poetics founded in 1974 by poets Anne Waldman and Allen Ginsberg. It contains readings, lectures, performances, seminars, panels and workshops conducted at Naropa by many of the leading figures of the U.S.literary avant-garde. National Recording Preservation Board (NRPB) - Each year, the National Recording Registry at the Library of Congress chooses 25 recordings showcasing the range and diversity of American recorded sound heritage in order to increase preservation awareness. The diversity of nominations received highlights the richness of the nation's audio legacy and underscores the importance of assuring the long-term preservation of that legacy for future generations. National Sound Archive (British Library) - The Sound Archive Listening and Viewing Service at the St. Pancras building offers free access to huge collection of recorded sound and video: music, wildlife, drama, literature, oral history and BBC broadcasts. Nitty Gritty - Vinyl record cleaning systems. Records cleaned on a Nitty Gritty system reproduce all the music stored in their grooves without the interference and masking of record pollutants. Penn Sound - University of Pennsylvania's Center for Programs in Contemporary Writing's ongoing project, committed to producing new audio recordings and preserving existing audio archives. Documentation about individual recordings as possible; new bibliographic information will be added over time. See extraordianary list of authors represented. Production Advice - Music production, mastering, mixing, recording techniques, hints and tips . Radio Magazine - Covering the technology of radio broadcasting in North America. SonicScoop - An online news source and community bridging the New York City-area music, sound and recording industries. Sound on Sound (SOS) - Music recording technology magazine, recognised internationally as the 'bible' of the hi-tech music recording industry. Sound Poetry Effects Catalog - For those uninitiated to the sound poetry tradition, along with those more seasoned prosodic travelers, this program's set of live performances, micro-lectures, and instantaneous digital publications promise both to delight and to inform. Testing the "catalog of effects" at play in the practice of sound poetry, this event queries a broad database of historical forms to consider potentials for the contemporary application of poetic performance. Sound Studio and Audio Recording Calculations - Online acoustic conversion engines. Sound ONline Inventory and Catalog (SONIC) - This Library of Congress Recorded Sound Collection contains 2.5 million audio recordings. 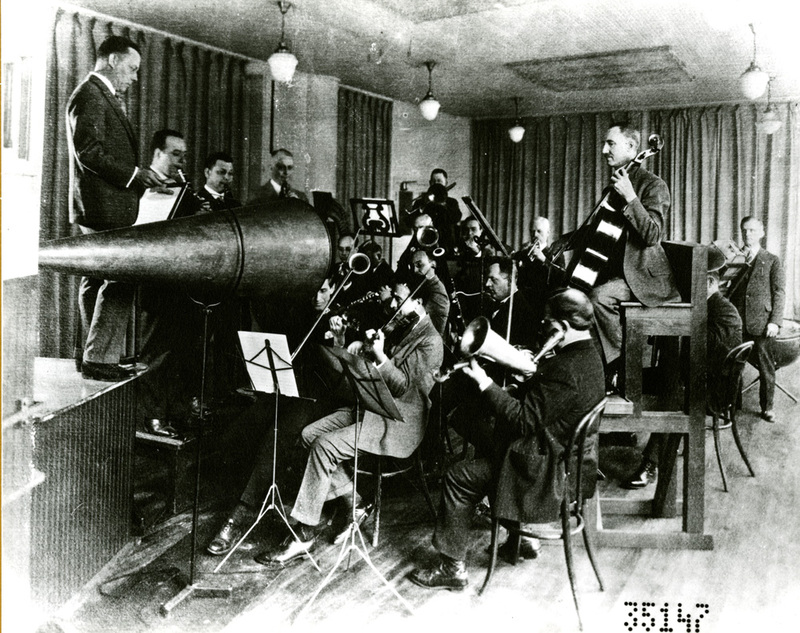 Published and unpublished recordings are on a variety of physical formats representing a history of sound recording from late nineteenth century cylinders and discs to the latest digital files. Includes radio broadcasts and spoken word; vocal and instrumental music. 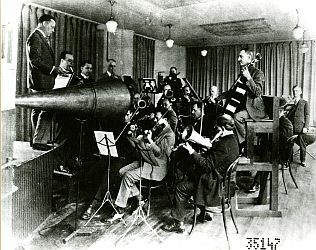 Sound Recording and Reproduction - Wikipedia article. SoundCloud - Post your sounds to share them with friends, fans and followers everywhere. Connect with the community on SoundCloud to build your audience. Sound Forge Audio Studio - For recording, editing, and energizing music and sound. Digitize, repair, and restore rare records and tapes, produce podcasts and karaoke tracks, burn CDs, and render out all the right formats for playback from any source. Stereophile Magazine - Equipment reviews, columns, features. Super Audio CD (SACD) - A read-only optical disc for audio storage, introduced in 1999. It was developed jointly by Sony and Philips Electronics, and intended to be the successor to their compact disc format. While the SACD format can offer more channels (e.g. surround sound), and a longer playing time than CD, research published in 2007 found no significant difference in audio quality between SACD and standard CD. Tracer Technologies - High quality audio products for PC computers. Transom - Channels new work and voices to public radio and public media. Provides tools, advice, and community. UbuWeb - Dedicated to all strains of the avant-garde, ethnopoetics, and outsider arts. Also follow on Twitter. Van den Hul - High quality product range covering moving coil (MC) and moving magnet (MM) phono cartridges as well as broad range of audio cable and wire products. What's the Difference Between All These Audio Formats, and Which One Should I Use? - Whitson Gordon, Lifehacker. This webpage last updated on Saturday, March 19, 2016 4:57 PM.